Aluminum is a silvery white solid metal at normal pressure and temperature. It has chemical symbol Al and atomic number 13. 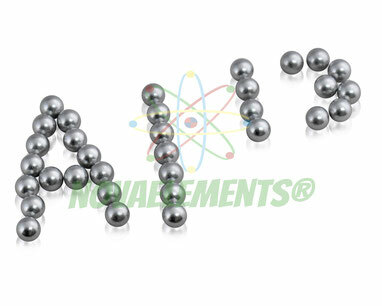 Aluminium is very abundant and is used in pure form for a lot of different things, like kitchen foil, mirrors, coins and industrial components. It is light, soft and malleable, which makes it a material ideal to work with. 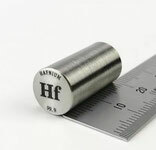 At very high temperatures it can burn and emit a lot of energy. 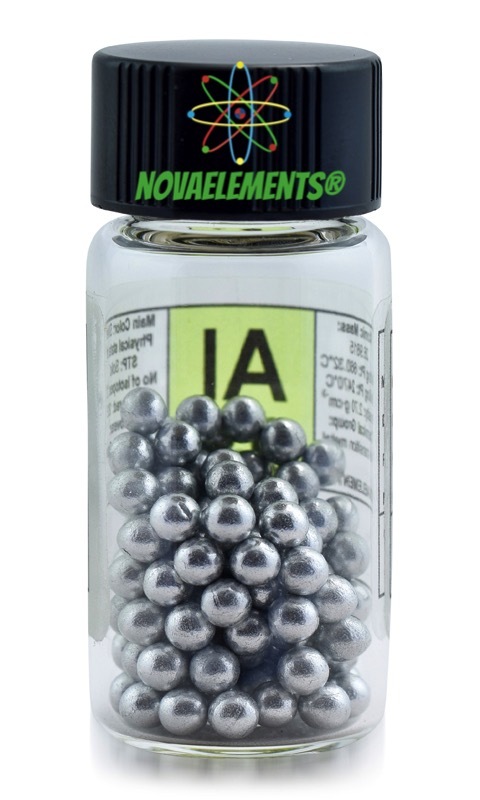 So the production of aluminium from its compounds in earth's minerals like bauxite takes a lot of energy, much more than recycling used aluminium. The latter is more environmentally friendly and also cheap. Buy now from the form below ! 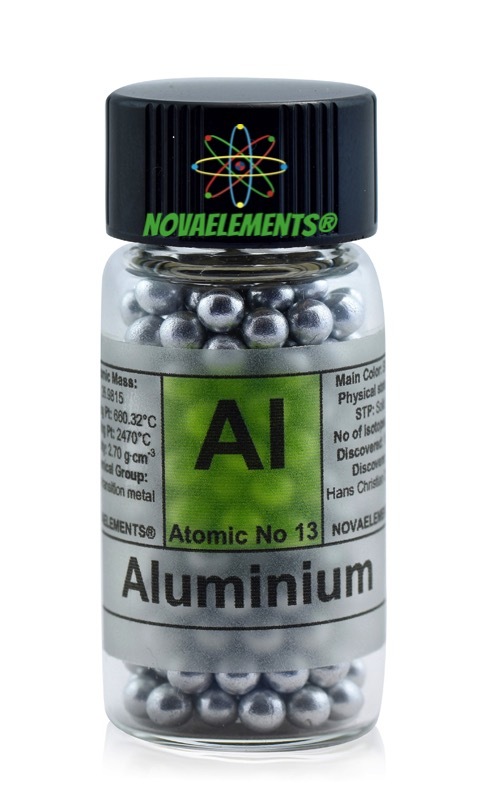 Beautiful and shiny Aluminium metal pellets, element 13 sample weight > 5 grams in glass vial 99,9%. Pure Aluminium element 13. 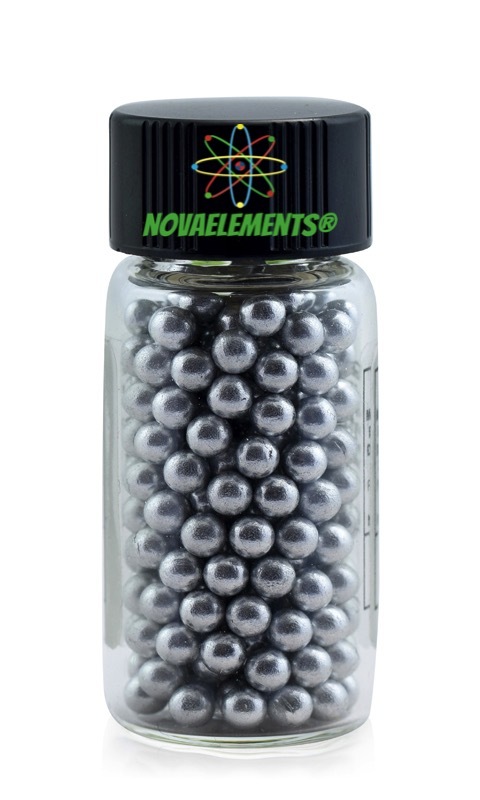 High purity Aluminium metal spheres 99,9% fulfilled vial sample, special edition. 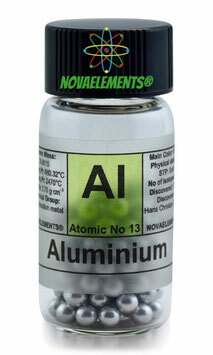 Pure element 13 sample.